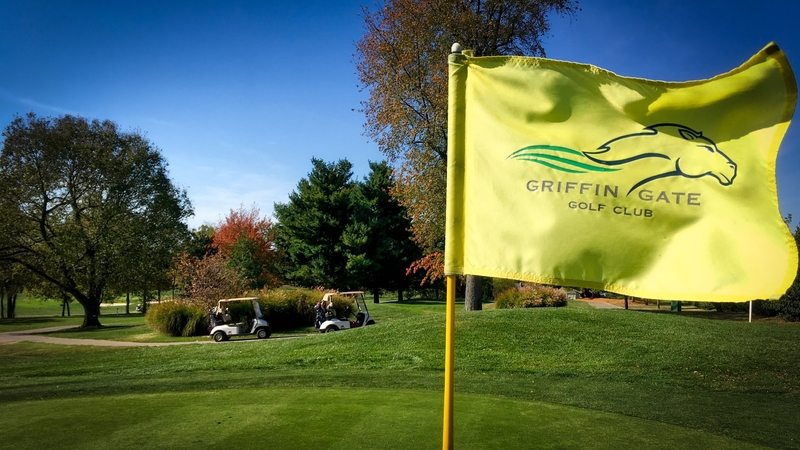 A membership at Griffin Golf Club provides you exclusive access to unlimited play on one of Kentucky's most renowned courses. Membership allows exclusive benefits such as advance tee time reservations, discounts, and more. Become a member of our Kentucky Bluegrass golf family today. Inquire with our Sales Manager about membership referral incentives and weekday membership options. Annual memberships expire December 31, 2019. *Room rate discounts are based on availability. **Additional member must be residing in same household as primary member. If you're looking for a way to entertain clients or reward employees, look no further than a Griffin Gate Golf Club Corporate Membership. As a Corporate Member, you and your designees will receive golf passes for a pre-purchased number of rounds. Corporate Memberships are available in a variety of denominations and expire 12 months from your membership date. • Four Designees permitted on each membership. For membership inquiries, please contact Melinda Dye, Sales Manager directly at 859-288-6109. Purchase a Griffin Gate Player's Card for just $125 (plus tax) and receive exclusive, year-round benefits at the Griffin Gate Golf Club. Program benefits valid April 1 - October 31st, 2019. “The clubhouse staff, Colin and Eric are top notch. The bag boys are also pleasant, and the hostesses in the 19th hole are always smiling and very accommodating. The Superintendent and his entire crew have done a terrific job keeping course in great shape.” - Chaz V.